Black and white image of two men with cowboy hats driving a white wagon hitched to a dark pair of horses. 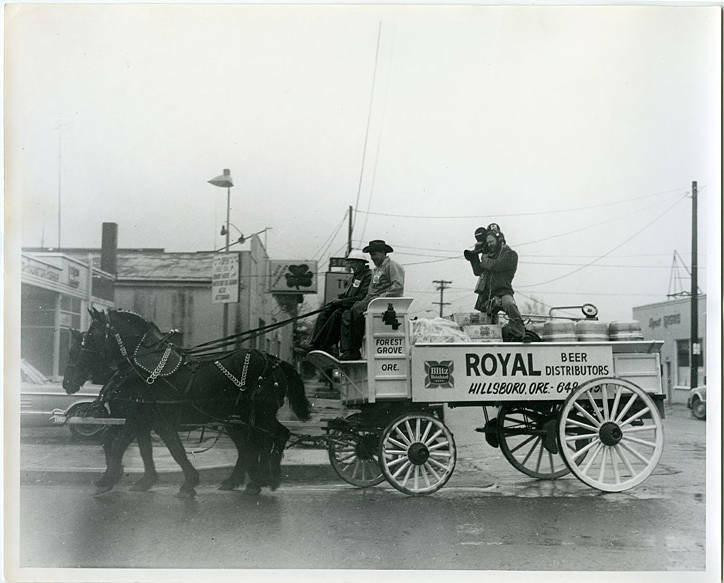 The sign on the wagon reads 'Royal Beer Distributors, Hillsboro, Ore. 649-[illegible]. Blitz Weinhard Beer.' The wagon has several kegs and some cases of beer. A man with a camera over his shoulder stands in the middle of the wagon, filming over the shoulders of the drivers.